There are approximately 158,000 deaths in Australia each year with a corresponding need for a similar number of funeral services to be arranged and conducted. This need is serviced by a myriad of competitive funeral company brands in the Australian funeral marketplace. So that’s good, healthy competition at work. Correct? Or is it the illusion of competition? Generally, competition is touted as a win for the consumer. More choice in a marketplace should translate to lower prices as competitors vie for their slice of market share. This notion is much loved of politicians, regulators and consumer advocates and underpins modern economic thought and practice. The illusion of competition is caused by a small number of companies trading under a large number of seemingly separate brands. In the Australian funeral industry this practice is well established. For example, a large, single company trades nationally using as many as 34 seemingly separate and competing brands. Navigating funeral service brands can be an unrewarding task for the unsuspecting consumer. You may be prepared to shop around for the best priced funeral service but ultimately a number of the brands you are comparing will be owned by the same parent company. Each brand may have slightly different offerings but their “multi-brand” marketing strategy is certainly not in place to adversely affect the company’s profits. How does the average consumer free themselves from the strategies used by the multi-brand funeral companies? The solution can be found in some recent challenges to the funeral industry status quo. For example, a 2017 paper “It’s Your Funeral: an investigation of death care and the funeral industry in Australia”, written by Professor Sandra van der Laan (University of Sydney Business School) and Associate Professor Lee Moerman (University of Wollongong), asserts that it is possible for the average consumer to completely bypass the services offered by the funeral industry. “It’s Your Funeral” sets out a four part schema to categorise the components of a funeral: disposal of the body, the ceremony, memorialisation and pre-planning. When most of us think about funerals, it is the first 2 that come to mind. Most of us strongly connect the Ceremony (church service, chapel etc) with the burial or cremation immediately following on. Breaking the connection between the funeral ceremony and the disposition of the body makes it possible to bypass the traditional services offered by the funeral industry. By doing this, the consumer can take more control of the process and save themselves some money – quite a lot of money. While the recipe set out in “It’s Your Funeral” is achievable, it is fairly hard-core and comes with a bit of a learning curve. At Fixed Price Cremations, we offer a compromise solution that allows consumers to take more control over their funeral arrangements. 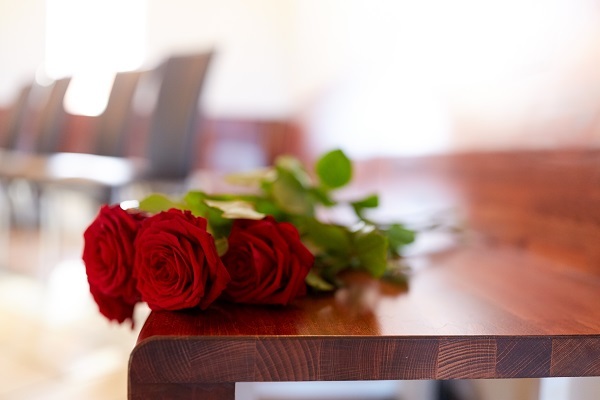 Our non-attended cremation package provides a similar way to by-pass the high costs associated with the services provided by the traditional funeral industry but without the learning curve. Our staff will assist and guide you through the process and will complete and submit all of the necessary documentation. We also assist with transportation of the deceased from the place of death and then on to the crematorium. While it is possible for you to do-it-yourself, we feel our non-attended cremation service is a better way to go. It provides you with everything you need to carry out a cremation while leaving you free to put more thought into how you would like celebrate the life of and farewell the deceased. That part is up to you and only limited by your imagination. Call us today on 1300 262 797.